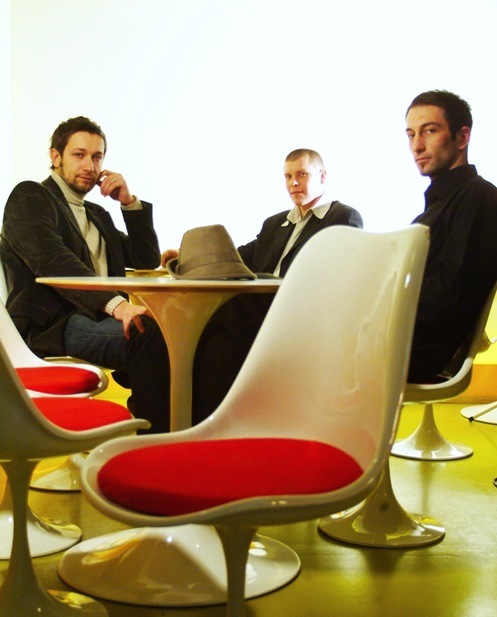 Nantes-based trio Smooth is a jazz-funk / electronica project active since 2005. After releasing two successful albums, the band is now back with a new record, The Parade, which hit the stores in February 2010. Their music is a mix of influences from different times and places and it could very well have been created in a 1960s undergound artist workshop in London or in a Berlin café in the 70s. The trio borrows and mixes sounds and rhythms from pop, soul, funk and electronica, all taken apart and put back together with inventiveness and jubilation. Self-confessed genre breakers, the three young men, David Darricarrère (vocals, guitar, piano), Nicolas Berrivin ( bass guitar , piano ) and Christophe Declercq ( drums ), cement their work through hours of experimentation both in the studio and on stage.